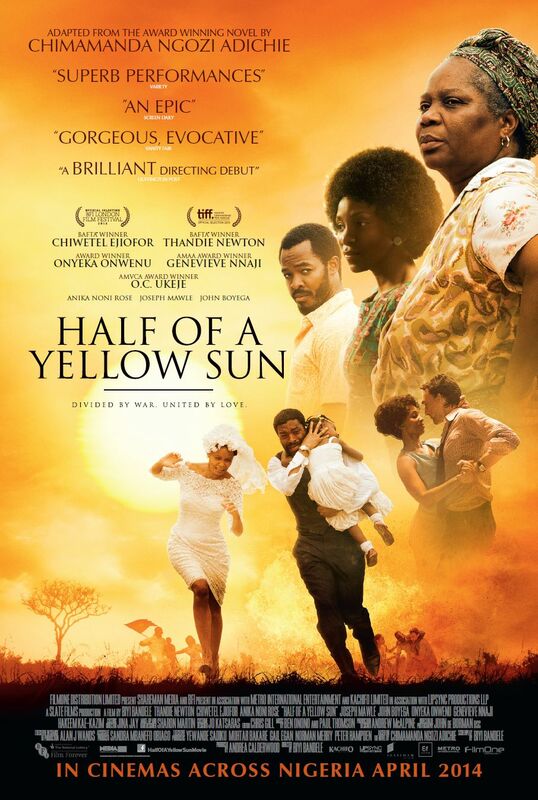 The release of the Nigerian civil war film “Half of a Yellow Sun”, which had been set to open in cinemas nationwide on Friday, has been postponed by the country’s censorship board. The film based on the eponymous best-selling novel by Chimamanda Ngozi Adichie is about the 1967-1970 Biafra War which killed more than a million people, many from starvation. A statement on the film’s website said the Nigeria release has been “postponed to May 2 due to delays in getting certification Nigeria Film and Video Censorship Board”. Board spokesman Caesar Kagho told AFP there were “regulatory issues” with the release, but that the film had not been “officially banned”. He said the board would issue further details later on Friday.It was not clear if the certification delay was linked to film’s content. “Half of Yellow Sun” stars Chiwetel Ejiofor, nominated for Best Actor at the Academy Awards for his role in “12 Years a Slave,” named 2014′s Best Picture. The Biafra War began after the eastern region tried to secede from the newly independent Nigeria.The East, dominated by members of the Igbo ethnic group, claimed their tribesman were being massacred in the mainly Muslim north and accused the federal government of failing to provide protection.Their attempt to create an independent Igbo-led nation, which they called Biafra, was crushed by British-backed federal forces which had military superiority and used scorched earth tactics, including the blockage of all food imports to the breakaway region. More than four decades on, the Biafra War remains a highly contentious subject in Nigeria.In his last published work before his death in 2013, acclaimed Nigerian author Chinua Achebe, an Igbo, sparked a heated debate about the conflict that raged on television and in newspapers for weeks. In “There Was A Country,” Achebe accused a revered leader from the Yoruba-dominated West, Obafemi Awolowo, of supporting the starvation of Igbos to further his own political goals.Yoruba leaders reacted furiously to the charge and the debate further highlighted the lingering bitterness from the conflict.“Half of a Yellow Sun”, which had its global premiere at last year’s Toronto International Film Festival, is already showing in Britain and Australia and is scheduled to open soon in the United States and other countries.